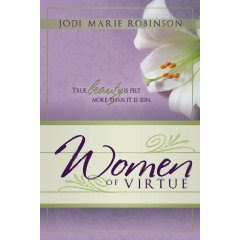 Michele Ashman Bell interviewed Jodi Marie Robinson, author of Women of Virtue, on her blog. As part of the interview, the author is giving away two copies of her book, as well as two decorative Women of Virtue tiles. This sounds like a wonderful book. Stop by and check it out.